An essential item in your trip planning toolkit is a good guidebook. Being able to do a lot of research online before traveling is great, but nothing beats being able to carry a book you can consult anywhere on the road. Here is a list of recommended Mexico guidebooks to help you choose the best one for you. Among the most comprehensive guidebooks on the market, Lonely Planet's Mexico Guidebook is popular with backpackers and ideal for independent budget travelers covering a lot of ground, particularly those who don't plan much in advance and need a wealth of information at the ready. If you're planning to stay in one area of Mexico, don't lug this tome around with you; get one of the regional guidebooks or purchase the individual chapters of interest to you that are available for download. The Rough Guide to Mexico is a publication geared toward budget travelers but is comprehensive enough to appeal to all. 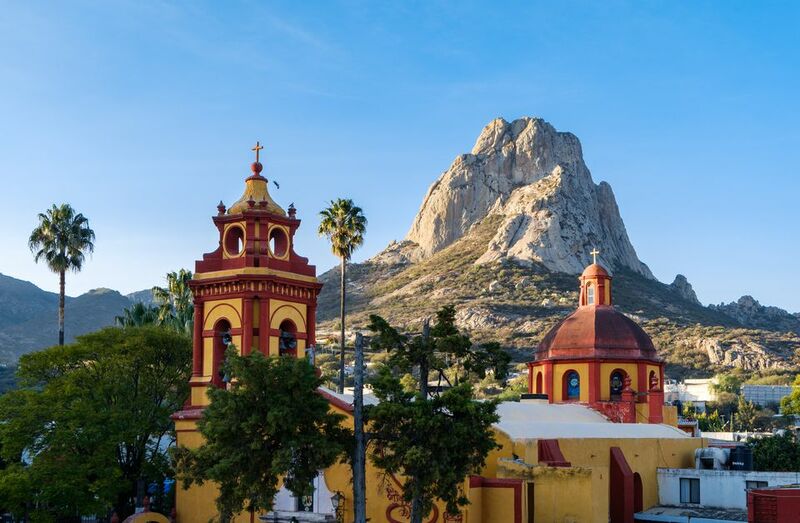 This guidebook contains detailed maps, essays on Mexican history and culture, a wide range of lodging options and recommendations for off-the-beaten-path places to visit. Some readers are put off by lack of some specific information such as bus schedules, however, schedules are subject to change, so instead of relying on this type of information from a guidebook, you're better off making your own inquiries about these specifics. Fodor's Mexico guidebook has plenty of good information about the most popular tourist destinations but if you're planning to stray from the beaten path even a little bit you won't find any information to help you. Fodor's Mexico guidebook even completely leaves out Monterrey, Mexico's second largest city. This guidebook is visually pleasing, however, with good maps and photos, and the symbols in the margin help to easily find which places are recommended, sights that are good for children, and price ranges. Eyewitness Travel Guides are known for their comprehensive and detailed pictures, drawings, floor plans, maps and illustrations, and the Mexico edition is no exception. This guide is great as a planning tool, though since it's not updated yearly as some of the other guides, its information may not be as up-to-date. Use this mainly for before-trip planning. Footprint's Mexico guidebook manages to pack in an extraordinary amount of information, but with coverage of all seven Central American countries plus Mexico, it may be more than you need. The Let's Go books are aimed primarily at budget travelers and backpackers. Even if you're not on a tight budget, you may find the information about traveling by public transportation to be helpful in your trip planning. Abundantly illustrated with glossy full color maps and photographs, National Geographic's Mexico guidebook tries to please both armchair travelers and adventure travelers alike. The essays on Mexican history, culture and food are well worth reading, but practical information is not as detailed as some of the other guides. This guide will help you sift out the best Mexico has to offer and is a good complement to other guidebooks.